Dennis Carl Wilson (December 4, 1944 – December 28, 1983) was an American musician, singer, and songwriter who co-founded the Beach Boys. He is best remembered as their drummer and as the middle brother of bandmates Brian and Carl Wilson. Dennis was the only true surfer in the Beach Boys, and his personal life exemplified the "California Myth" that the band's early songs often celebrated. He was also known for his brief association with Charles Manson, a songwriter and cult leader who was later convicted of several murders. Wilson served mainly on drums and backing vocals for the Beach Boys, and contrary to popular belief, his playing can be heard on many of the group's hits. He originally had few lead vocals on the band's songs, but starting with their 1968 album Friends, his prominence as a singer-songwriter increased. Unlike Brian's music, Dennis' is characterized for reflecting his "edginess" and "little of his happy charm". His original songs for the group included "Little Bird" (1968), "Forever" (1970), and "Slip On Through" (1970). Friends and biographers also credit Wilson as a ghost co-writer on "You Are So Beautiful", a hit for Joe Cocker in 1974. During his final years, Wilson struggled with heroin and cocaine addictions that contributed to tensions with his bandmates. His only solo album, Pacific Ocean Blue (1977), was released to warm reviews, but moderate sales. One writer retrospectively described it as "Kurt Cobain produced by Phil Spector." Sessions for a follow-up, Bambu, disintegrated before his death. In 1988, Wilson was inducted into the Rock and Roll Hall of Fame as a member of the Beach Boys. He died from drowning at the age of 39 in 1983. 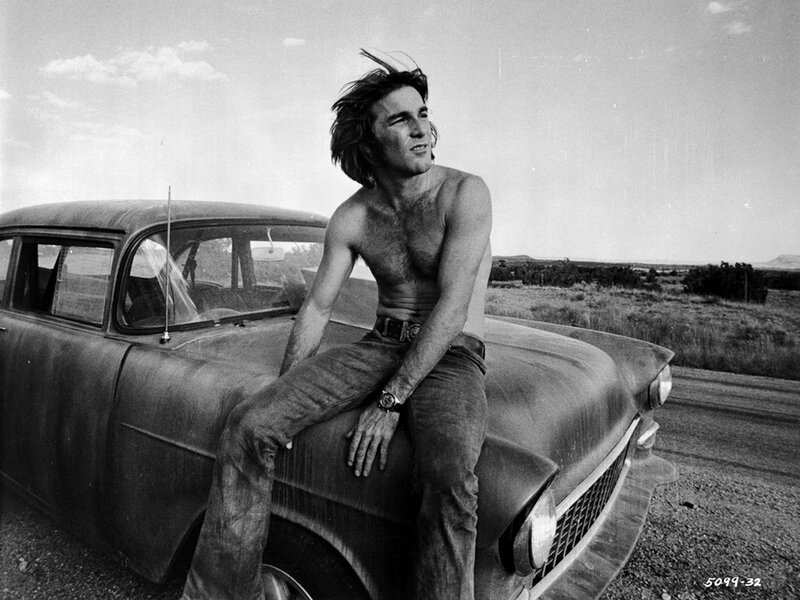 By all appearances the happy-go-lucky Beach Boy, Dennis Wilson, lived out the proverbial live-fast-die-young motto. To some degree that’s a fair assessment. Dennis did indeed drive fast cars, hang with hippies (including Charles Manson) and dated his share of beautiful California women. But like his older brother Brian, Dennis was bullied mercilessly by his father. His wild side masked an underside that was, by turns, brooding, self-loathing, sensitive, and anxious. Dennis’ music reflected his edginess and exhibited little of his happy charm, setting it apart from Brian’s music. Dennis never sang about fun, and no images of surfboards or surfer girls ever appear in a Dennis Wilson song. While it is often said that Dennis's drumming in the Beach Boys' recordings was filled in exclusively by studio musicians, this is a common misconception. In 1967, Dennis was cited as "the closest to brother Brian's own musical ideals ... He always emphasizes the fusion, in their work, of pop and classical music." Dennis said his brother Brian was an "inspiration", not an influence, and that "Musically, I'm far apart from Brian. He's a hundred times more than what I am musically." In 1988, Dennis was inducted into the Rock and Roll Hall of Fame posthumously as a member of the Beach Boys. On December 28, three weeks after his 39th birthday, Dennis drowned at Marina Del Rey after drinking all day and then diving in the afternoon to recover items he had thrown overboard at the marina from his yacht three years earlier. Forensic pathologist Michael Hunter believed that Dennis experienced shallow water blackout just before his death. On January 4, 1984, the U.S. Coast Guard buried Dennis' body at sea, off the California coast. The Beach Boys released a statement shortly thereafter: "We know Dennis would have wanted to continue in the tradition of the Beach Boys. His spirit will remain in our music." His song "Farewell My Friend" was played at the funeral. Dennis' widow Shawn Love reported that Dennis had wanted a burial at sea, and brothers Carl and Brian did not want Dennis cremated. As non-veterans of the Coast Guard and Navy are not allowed to be buried in US waters unless cremated, Dennis' burial was made possible by the intervention of President Reagan. In 2002, Brian expressed unhappiness with the arrangement, believing that Dennis should have been given a traditional burial.